“Whether it’s business or nonprofit, or military or government, (we) try to focus on building relationships, cross-sector, as well as help each other solve problems,” he explains. In working with people involved in nonprofits, the group discerned that aside from fundraising, many organizations struggled with meeting marketing needs. To help with this, which Leong says ultimately will positively impact fundraising efforts, Kokua.org will sponsor its first event next month. Presented by Proservice Hawaii with co-sponsor Box Jelly, AD UP Hawaii is a mashup of Startup Weekend and Ad2, and is helmed by “fearless leader” Tori Abe, director of marketing at Hospice Hawaii. The two-day event begins Oct. 3 with a mixer at Honolulu Beer Works. Participants will join four teams representing Hawaii Literacy, Habitat for Humanity, Kumu Kahua Theatre and Good Beginnings Alliance, with representatives from local ad agencies, as well as other marketing professionals — all volunteering their time to create and complete a marketing campaign in only nine hours. The next day, at Box Jelly, in addition to creating campaigns, three workshops on branding, PR and social media will be offered and are open to non-participants who register online. His desire to work closely with the community is rooted in a simple belief that everyone matters. 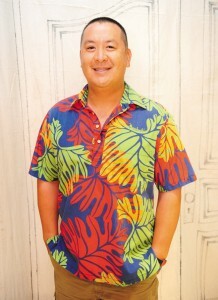 For more information on AD UP Hawaii and to register for its workshops, visit aduphawaii.com. Greater Good Radio shows still are available online and may be accessed at greatergoodradio.com. For more information on Leong, visit Kokua.org.